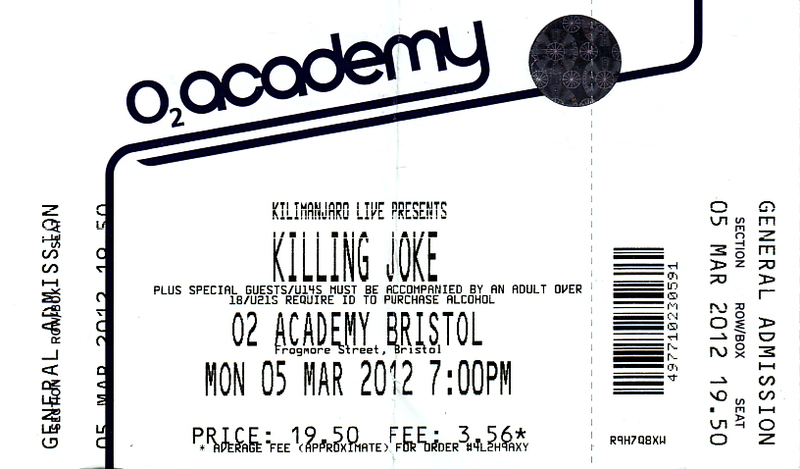 Another Killing Joke gig. Always a good thing. This is the first time I have seen the original line-up play together. My first gig was Killing Joke at Digbeth Civic Hall in July 1983, with Raven newly arrived on bass as Youth went on to form Brilliant. And although I have seen Killing Joke many, many times, I haven’t seen the original line up which brought us the magnificent first three LPs. This was always going to be good. And it didn’t disappoint. 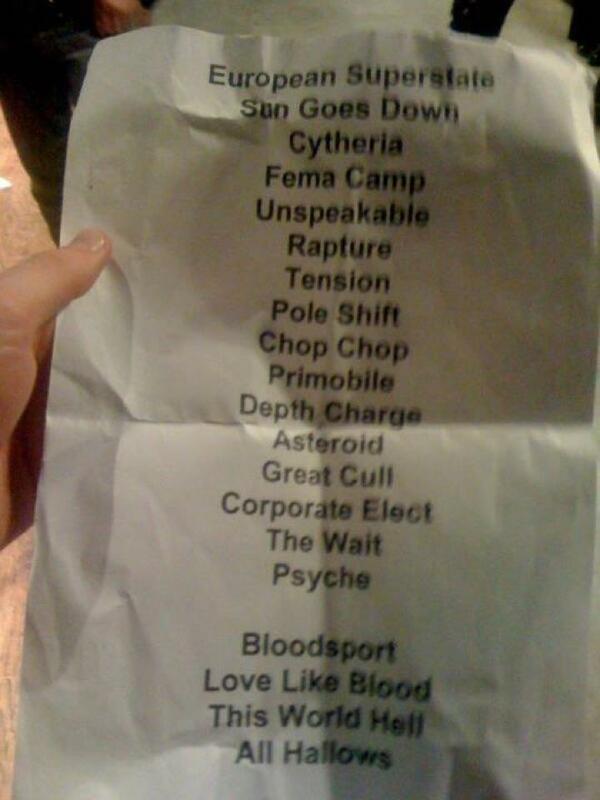 Having seen a set-list from the night before, the set is obviously heavily loaded with tracks from the new LP (seven in total), plus four tracks from Absolute Dissent and one from Killing Joke (2003), leaving the remaining six tracks to be pulled from the classic 1980-1982 period. So what were the highlights? Well, seeing/hearing/feeling Paul and Youth lock in together as a rhythm section was amazing, and the track which really brought this together was Bloodsport. An odd choice maybe (what about Primitive or Butcher or Complications or Are You Receiving? or any one of a dozen other classics?) but man, what a groove with that funk bass thing going on, and what a track on the night. This was Killing Joke at the height of their very powers. The track was dedicated to “our only fan who lists to Killing Joke while they are hunting”… and Jaz was shooting people with an imaginary gun and pretending to die. You know the score here. And the sound was really good. Some of their other recent gig have suffered from a below par sound, especially the 25th anniversary gig which I thought sounded really average, and the quality of the mix here – especially Geordie’s guitar – took everything up another notch. They closed with Pssyche (“some rituals must be observed”) and, not only was it a groove as immense as Bloodsport, it was great to hear Youth grunting his way through the opening verse. Sun Goes Down was great – titanic, thumping, tribal drumming – as on the Wait and Unspeakable – both huge and they also played Chop Chop (“haven’t played this since 1982”) and that was worth the £20 alone. Asteroid was also huge – and the Great Cull also stood out. Time will tell whether the new stuff is any good. It is really tough to gauge new tracks on a single live performance but on the whole it sounded toward the more melodic end of their range and, at times reminded me of Brighter Than a Thousand Suns, which is not necessarily a bad thing. The “In Cythera” video backs this up. Overall, a cracking night. I took a mate who likes his music heavy (his musical moment of last year was Opeth, Mastadon and Thrice releasing LPs on the same day) and he really enjoyed it. 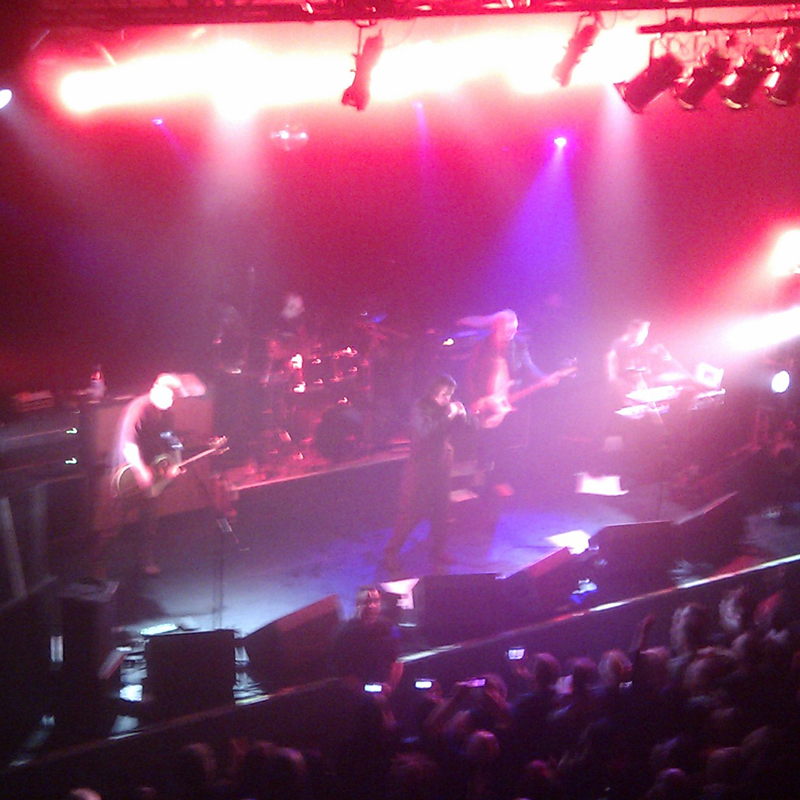 Killing Joke still sound great, but they now sound complete. They are still relevant.